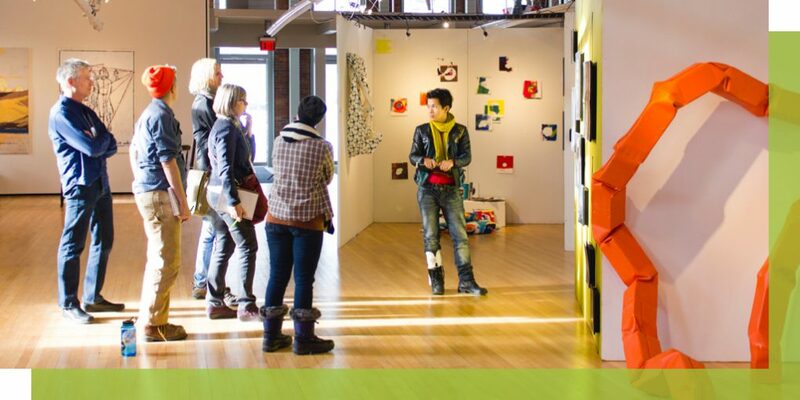 The Vermont College of Fine Arts approached us last year hoping to redesign their website in a way that more accurately reflected their progressive approach to arts education and that allowed staff, students, and alumni the chance to engage and connect with one another. Our designers took inspiration from VCFA’s vibrant community of diverse artists—from sculptors to screenwriters—and used bold colors, typefaces, and patterns throughout the site to capture the school’s contagious creativity. The site’s new structure makes MFA program information easily accessible to prospective students and highlights the work of alumni throughout. Refreshed website content also streamlines important information, making it easier for students, staff, and alumni to find what they’re looking for…quickly! You can check out the new VCFA site and learn more about their community of artists here. And as for their resident ghost Anna, our Director of Strategy swears she heard a bathroom door mysteriously open and close when she visited campus for a meeting last summer. We can neither confirm nor deny this sighting.